Our new R1200C windshield is made of durable, optically clear, aircraft grade acrylic AND mounts easily to the stock BMW factory mounts. It’s smooth aerodynamic shape gives better protection, increases performance on the road and saves you money at the gas pumps. 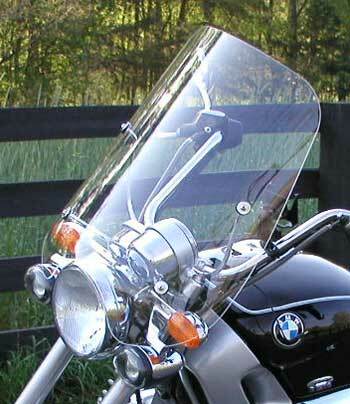 The windshield is offered in 3 heights in clear or tint. 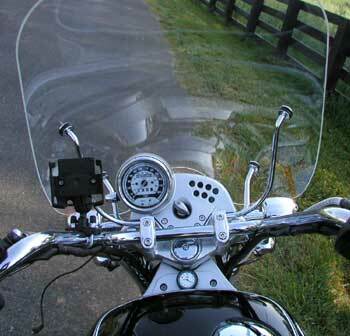 The windshield arrived on October 13, 2010, and I had it on the R1200C within an hour. Installation was easy, everything fit and went together the first time. I took the R1200C out today, October 14, 2010, for a 155 mile ride to test your advertising assertion, my mileage went from 46MPG to 52MPG, impressive and the bike accelerates faster and easier and is much easier on me. It had 5555 miles on it when I purchased it on September 24, 2010, the two previous owners never did much with it. The windshield looks fabulous, and performs as advertised. I'm happy.